Satisfy your sweet tooth by feasting on red, freshly-picked strawberries at this Strawberry Dessert Buffet! Delicious! A must try item when visiting Seoul during strawberry season. 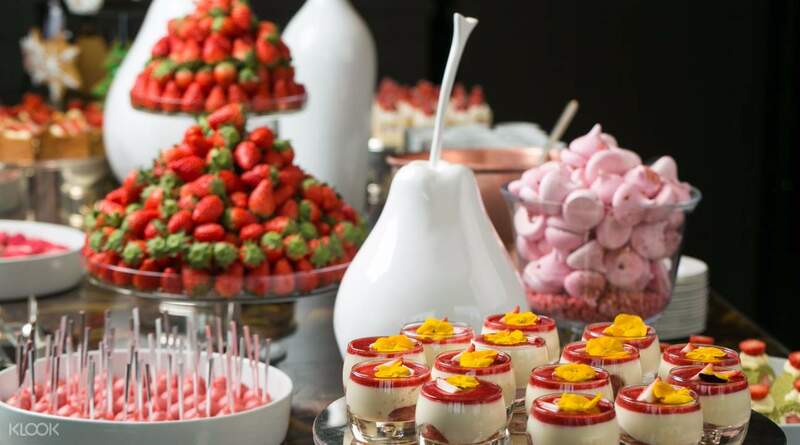 Indulge your cravings and satisfy your sweet tooth with a visit to JW Dongdaemun Marriott Hotel's Strawberry Dessert Buffet. With its decadent desserts that highlight the distinct flavors of the popular strawberry, as well as the comfortable ambience and great view, this will surely be paradise for all foodies and sweets aficionados! Check out the restaurant's awesome Barbie theme, with each table having its own vintage Barbie doll in the middle. Savor a light meal, paired with a refreshing glass of a strawberry drink, before you feast on the various strawberry desserts on the table. With the wide selection of options on the table, including Macarons, Panna Cotta, Cupcakes, and even Millefeuille Zabaglione, there's bound to be something for even the pickiest eater! Looking for that extra zing in your dessert? Get some fresh strawberries and pair it with the buffet's sweets for an added bit of a tarty taste. Once you're filled up with desserts, you can sip on a cup of coffee or tea and enjoy the awesome view of the greenery outside before you step out of the restaurant. These decadent desserts are sure to satisfy your sweet tooth! 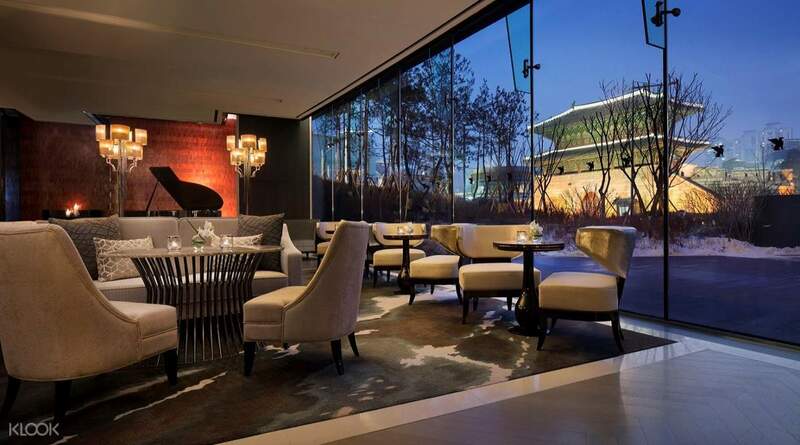 Book now on the Klook website/app and enjoy a convenient reservation service! Juicy, sweet, luscious fresh strawberries and dessert in a very calm, soothing and elegant setting. The staff were also extremely polite and pleasant and made good recommendations for choice of drinks and main course. Definitely worth a second visit! Juicy, sweet, luscious fresh strawberries and dessert in a very calm, soothing and elegant setting. The staff were also extremely polite and pleasant and made good recommendations for choice of drinks and main course. Definitely worth a second visit! This was a really amazing experience. It was the perfect girly barbie strawberry buffet, I particularly enjoyed the millefoige. This was a really amazing experience. It was the perfect girly barbie strawberry buffet, I particularly enjoyed the millefoige. so easy to rendeem. the food are so delicious. the staffs are really nice.. love it.. would love to come back again.. so easy to rendeem. the food are so delicious. the staffs are really nice.. love it.. would love to come back again.. 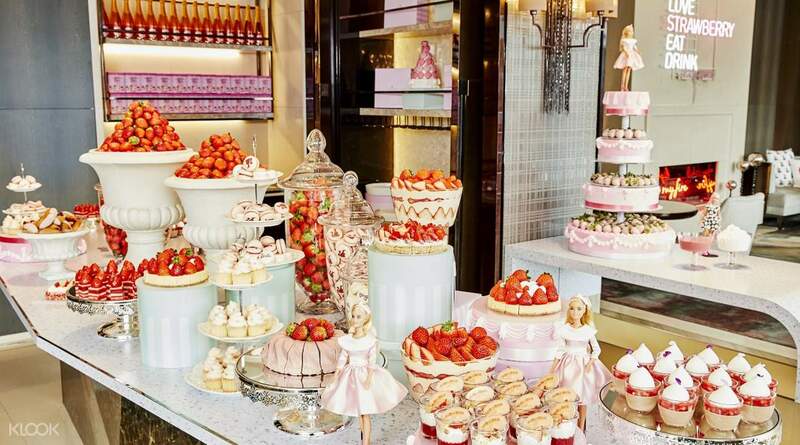 The barbie theme is so nicely decorated & the strawberry dessert is really yummy. The strawberry smoothie is so refreshing highly recommend this drink. 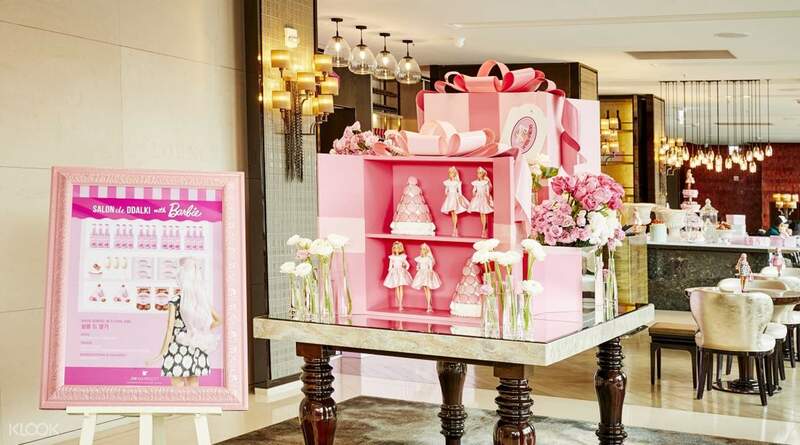 The barbie theme is so nicely decorated & the strawberry dessert is really yummy. The strawberry smoothie is so refreshing highly recommend this drink. Nice environment and easy redemption! The strawberry r great!! Nice environment and easy redemption! The strawberry r great!! Nice food and cozy environment. Perfect place to get a relaxing time there. The staff, Ashley there is super, very responsive and helpful. Nice food and cozy environment. Perfect place to get a relaxing time there. The staff, Ashley there is super, very responsive and helpful. Delicious! A must try item when visiting Seoul during strawberry season. Delicious! A must try item when visiting Seoul during strawberry season. Nice tasty strawberry buffet will definitely come back again!! Nice tasty strawberry buffet will definitely come back again! !